BOL Movie : A Must Watch it Yaar! Watching a Movie on your small netbook, that too in the peak business hours is too drastic step. But the two and half hours of watching a movie like "BOL" is too dramatic and lets you in the story. 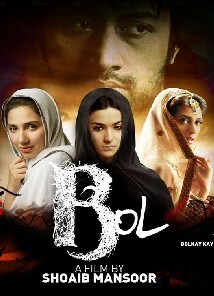 "BOL" is a Pakistani Movie released last year in July and got real Box office hit in India and Pakistan. Directed very well by Sohaib Mansoor. Dont miss this amazing peice of Story telling with the social drama in Pakistan.